Enterprise marketing is more important today than it ever has been before. It’s an ever-evolving aspect of business that company owners must monitor and evaluate for optimal performance. There are some consistencies to successful marketing strategies. Learn from and do these five things that effective marketers get right. 1. Have a solid content marketing plan. Your content marketing strategy should include images, slide shows, videos, and text-based content to appeal to a wide range of clients and customers. It should also be delivered in different ways and across all of your social media platforms. A strong content marketing plan will engage people and keep them coming back to your site. 2. Maintain effective communication in-house. Meet frequently with all marketing team members to ensure there is a constant flow of ideas and all levels are working together toward a shared objective. 3. Invest aggressively in marketing that works. 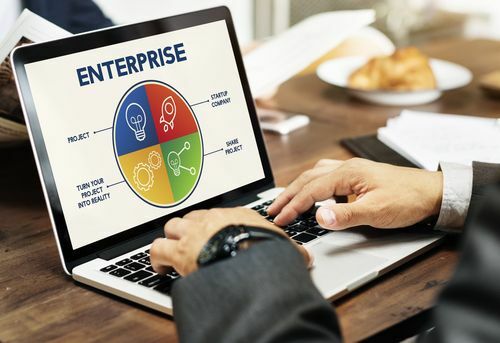 Companies that benefit the most from enterprise marketing are the ones that make it a top priority. That requires commitment and money. Invest aggressively in what works to gain increased market share. The companies that spend more on marketing are among the most effective. 4. Collect and analyze customer data. Companies consistently produce highly effective marketing campaigns when they better understand their consumers. That requires engagement programs that harness customer data in an easily organized manner so that you can extrapolate information crucial to achieving your company’s goals. 5. Have a clearly defined target audience. Many companies waste money trying to be too general in their marketing efforts. By having an ideal customer profile you can build a consistent marketing program. Know which segment will deliver the greatest return on your efforts and build your strategy around them. You’ll have a strong enterprise marketing foundation and still be able to appeal to other demographics.